Not sure the exact measurement, but they are about $10 or less at the aftermarket suppliers. I also don’t believe there are different ones depending on tilt, as that nut is held in place via a flat disc retainer that gets a tab bent up to hold it – so one from any Unisaw model should work fine. Do you need one or just curious? 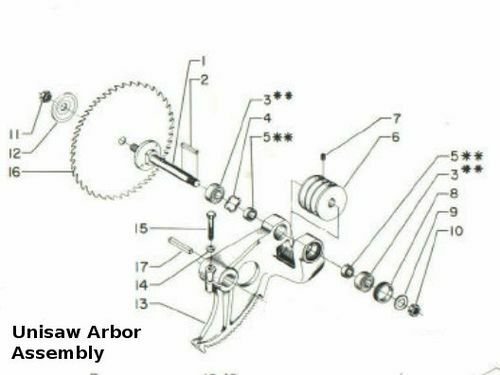 Edit: I just realized that we may be talking different parts.. there is a hex nut that threads on the end of the arbor shaft (described above^^^), and there is what is known as the large arbor bearing retainer nut that screws into the arbor housing… the later having the threads on the outside and manipulated via a pin wrench or similar. That one has an OD of 1.5” and 20 TPI. Also available at aftermarket suppliers for about $10.